During interactions with law enforcement, people have the right to expect they will not be subjected to unlawful search and seizure. This protection is written into the U.S. Constitution, and it stems from the right to privacy. This Fourth Amendment provision is applied no matter where you are in the country, including cases prosecuted in Broward, Palm Beach and Miami-Dade. 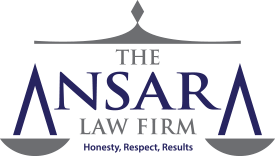 At The Ansara Law Firm, our Fort Lauderdale criminal defense lawyers know that questions surrounding search and seizure is routinely at issue. Many criminal cases are founded on what police find when they search a subject’s car, home, computer, locker or phone. In each situation, depending on the circumstances, the subject has varying expectations of privacy. If the law enforcement officer violates the subject’s Fourth Amendment right against unlawful search and seizure, the evidence obtained can be suppressed on the request of your defense lawyer, meaning it can’t be used against you in a court of law. If you have been arrested in Fort Lauderdale, it’s possible the evidence against you was obtained unlawfully. When your case is evaluated by an experienced criminal defense attorney, you are ensuring no violation of your rights will go unchecked. The legal scope of law enforcement’s power depends heavily on the type of encounter – and whether you granted permission. Many people think that if they provide permission for a search, they are showing “cooperation” with an officer, which will lead to a better outcome. Too often, this is not the case. Further, it deprives you of the ability to later challenge the legality of the search. Consensual Encounters. This is an encounter into which, theoretically, both parties enter voluntarily. Think: Shopkeeper and beat cop. It can be ended at either time by either party with no consequences. The officer doesn’t need to have probable cause to initiate it, but neither can the officer initiate a search. There is no moving on to an “investigatory encounter” from a consensual encounter unless the officer has a well-founded, articulable suspicion of criminal activity. Although this sounds innocent, the reality is law enforcement officers don’t initiate consensual encounters because they are bored. They are usually looking for information that will help them initiate an investigatory encounter – or else gain permission from you to do something else, such as engage in a search. If you voluntarily agree to a search, then it’s not unlawful. However, if the officer insists on a search during a consensual encounter without a well-founded, articulable suspicion, the findings of that search can be tossed in court. Investigatory Stop/ Detention. This is an encounter wherein the police detain a person temporarily to investigate the possibility that a crime has been committed or the subject is in the process of committing a crime. Officers hoping to initiate an investigatory stop must have a well-founded, reasonable suspicion of criminal activity (per the 1968 U.S. Supreme Court decision in Terry v. Ohio). Arrest. The is another level of encounter in which the law enforcement officer asserts his full authority for the purpose of making an arrest, and the individual is expected to submit to that authority. Where an arrest takes place, an officer must have probable cause to believe the defendant committed or was committing an offense. Probable cause to believe an illegal activity has taken place. Is the person’s expectation objectively reasonable (i.e., one society would recognize)? Laws pertaining to cruelty to animals have been or are being violated in a particular building or place. If an officer, state trooper or federal law enforcement officer searches you or your property without probable cause, a search warrant or your permission, that evidence can’t be used against you in court. This is known as the exclusionary rule, a legal principle established by the U.S. Supreme Court in 1961. In fact, not only is the evidence that is the product of an illegal search generally inadmissible in court, so too is any evidence derived from that initial evidence. This is known as the “fruit of the poisonous tree” doctrine. A skilled defense lawyer will tell you one of the best tools we have in so many cases is the motion to suppress based on unlawful search and seizure.